Several African states have rejected statements made by Egyptian President Mohamed Morsi which have challenged the right of Ethiopia to utilize water from the Blue Nile in order to construct a hydro-electric dam. Ethiopia says that the Grand Ethiopian Renaissance Dam project is necessary to not only provide power for the several contiguous states but to also reverse a British colonial-era law that deliberately divides Egypt from other states through the allocation of water from the Nile. Foreign ministers from both countries met on June 17 in Addis Ababa. The purpose of the visit was to resolve the diplomatic standoff which has led to war-related rhetoric from the Egyptian government over the plans for the development of this $US4.2 billion undertaking. The dispute between the two states is rooted in the legacy of British imperialism in North, Northeast and Central Africa during the 20th century. 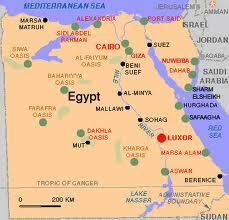 A declaration from 1929 by London granted the bulk of the water of this area of the Nile to Egypt and Sudan. Another agreement between Egypt and Sudan was signed in 1959 prior to the independence of other Nile River states such as Burundi, Uganda, Kenya, Tanzania and Rwanda. Ethiopia, which was heavily-dominated by the United States and other western imperialist states, was not in a position at the time to effectively challenge the moves made by Britain and the-then governments of Sudan and Egypt. This same article points out that “The signatories of the 1959 Agreement allocated Egypt 55.5 billion cubic meters of water annually while Sudan was allowed 18.5 billion cubic meters. These 79 billion cubic meters represented 99% of the calculated average annual river flow. The Republic of Tanzania’s first President Julius Nyerere spoke to the unjust character of such agreements proclaiming that African states should not be subjected to the colonial-era laws that the people had no impact in drafting and implementing. Ethiopian Emperor Haile Selassie I in 1959 was so offended by the exclusion of His Majesty’s government from the agreement signed by Egypt and Sudan that he broke ties between the Orthodox Christian Church and its counterpart in Alexandria severing a 1600-year relationship. Since this time period Ethiopia has sought to develop its hydro-electric power capacity in conjunction with neighboring states. During the 1980s a drought and famine hit Ethiopia and created the conditions for large-scale deaths and displacement. In Egypt during the same time period the threat of drought and famine also loomed when Aswan Dam turbines nearly shut down raising the prospect of food and water shortages in the country. 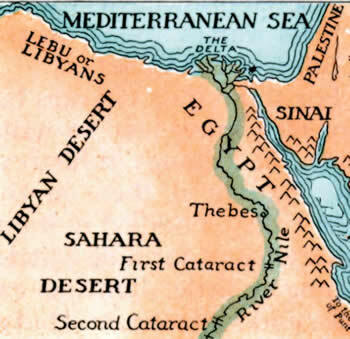 Nonetheless, by 1987 the governments of Egypt and Ethiopia began to hold serious discussions over the future of the Nile River and its usage by all connected states. President Morsi’s first year in office has been plagued with controversy, mass demonstrations and rebellions. Many within Egypt are dissatisfied with his leadership and that of the Freedom and Justice Party (FJP) which is dominated by the Muslim Brotherhood. This same journalist continues claiming that “Morsi’s critics argue the dam dispute is an example of the government’s inability to steer the country forward or safeguard its interests.” Egypt even under its current government which has maintained the fundamental foreign and domestic policy orientation as the ousted regime of former President Hosni Mubarak, has failed to secure a long-promised $US4 billion loan from the International Monetary Fund (IMF). Recently Morsi broke relations with Syria and pledged support for the counter-revolutionary rebels that are fighting the government of President Bashar al-Assad. The Egyptian leader has also criticized the role of the Islamic Republic of Iran in defending the Syrian government from the western-backed war of aggression and regime-change that has been waged for over two years. Recently the Republic of South Sudan expressed its support for the building of the Grand Ethiopian Renaissance Dam saying that the effort will help both Ethiopians and Egyptians for generations to come. South Sudan, which is newly-independent, has joined the Nile Basin countries and is concerned about its own economic development. The African Union (AU) has urged both Cairo and Addis Ababa to resolve the dispute diplomatically. Ethiopia and Egypt represent the second and third largest populated states on the continent with 84 million living in the former and 82 million in the latter.